The Men of First Church come together to do service projects, break bread, share insights and challenges faced by Christian men, build our relationships with the men of New Covenant Lutheran Church in East Cleveland and for spiritual study. Our service projects have included collecting donated goods, helping families move, sorting donated goods for Frontline Service, sorting food at the Cleveland Foodbank, feeding the homeless, participating in the Walk for Hunger and distributing produce to families in need at New Covenant Church. 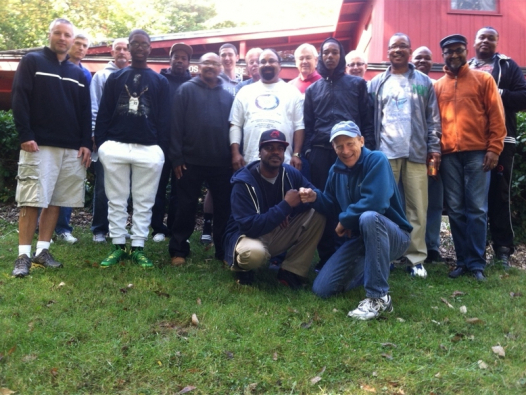 Many of our service projects have been joint efforts with the men of New Covenant Church. 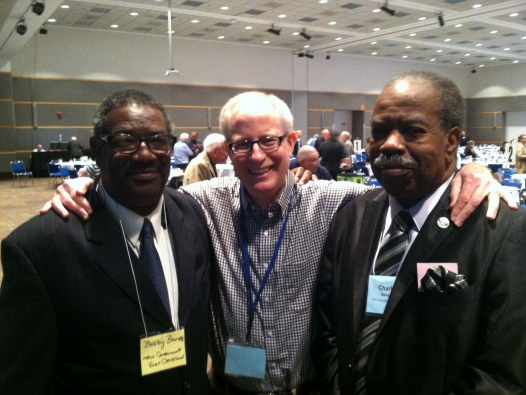 Men’s Ministry has been responsible for several Bible studies in past years. A small group of our men meet monthly with a small group of men from New Covenant for breakfast or lunch. Out of those shared meals have come a number of overnight retreats here in Cleveland and at Camp Mowana in Mansfield, as well as joint service projects and shared worship experiences at our respective churches. Men’s Ministry has no formal structure nor any regular meetings. It’s just a small group of Christian men periodically getting together and continuing our relationship with the men of New Covenant. Please watch the weekly and monthly revelations for upcoming events.